From Modernist/Postmodernist perspective, leading critics Richard Ruland (American) and Malcolm Bradbury (British) address questions of literary and cultural nationalism. They demonstrate that since the seventeenth century, American writing has reflected the political and historical climate of its time and helped define America's cultural and social parameters. Above all, they argue that American literature has always been essentially "modern," illustrating this with a broad range of texts: from Poe and Melville to Fitzgerald and Pound, to Wallace Stevens, Gwendolyn Brooks, and Thomas Pynchon. 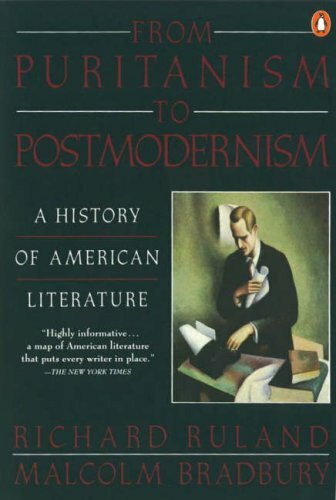 From "Puritanism to Postmodernism" pays homage to the luxuriance of American writing by tracing the creation of a national literature that retained its deep roots in European culture while striving to achieve cultural independence.